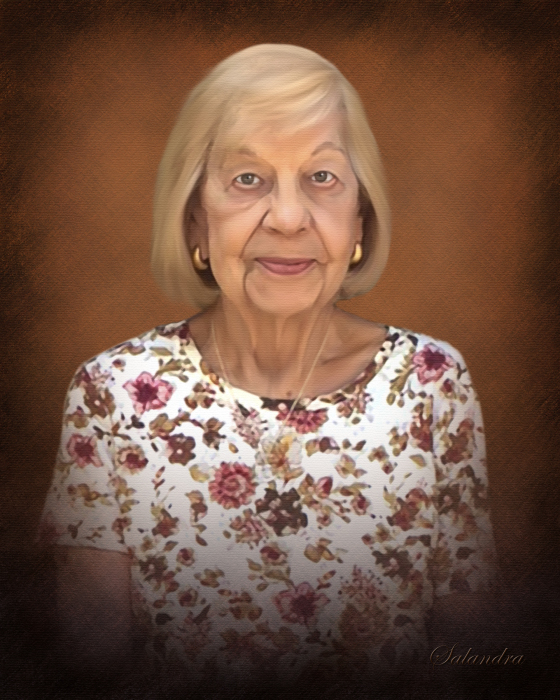 Obituary for Dorothy J. Striner | Salandra Funeral and Cremation Services, Inc.
Dorothy J. Striner age 91 of South Fayette Twp. formerly of Canonsburg passed away suddenly Monday July 30, 2018 at UPMC Presbyterian, Pittsburgh. She was born June 20, 1927 in Canonsburg a daughter of the late Daniel S. and Tekla Drochak Kotyk. Mrs. Striner lived most of her life in Canonsburg where she had been a member of St. John The Baptist Orthodox Church. She had been employed with the War Department in Washington D.C. during World War II, then the former A&P store in Canonsburg and the Ramada Inn in Washington. She had for most of her working life been employed at the former RCA record plant in both Canonsburg and Meadowlands prior to her retirement. Dorothy enjoyed bowling for many years and was a true animal lover who supported the Humane Society and PETA. On January 14, 1951 she married John Striner who passed away March 7, 1995. Left to cherish her memory is her daughter Laureen (Rick) Czemerda of South Fayette Twp. and her son John A. (Patricia) Striner of South Fayette twp. a sister, Evelyn Backner of Ingram, three grandchildren; Jason (Shannon) Striner, Kristy (Jason) Lammert and Kenny Czemerda, four great grandchildren; Gracie and Miles Lammert, Hayley and Sienna Striner and several nieces and nephews. Deceased in addition to her husband and parents are her granddaughter Nicole Striner, Four sisters; Ann Stevenson, Helen Uram, Julia ruby and Mary Louise Kotyk, and four brothers; John, William D. Sr., Steven and Michael Kotyk. At the request of the deceased a private family visitation will be held at Salandra Funeral and Cremation Services, Inc. Joseph P. Salandra LFD owner/supervisor, Darla Tripoli LFD 304 West Pike Street Canonsburg 724-745-8120. Interment will follow in Forest Lawn Gardens, McMurray. To view or extend condolences please visit www.salandrafunerals.com.